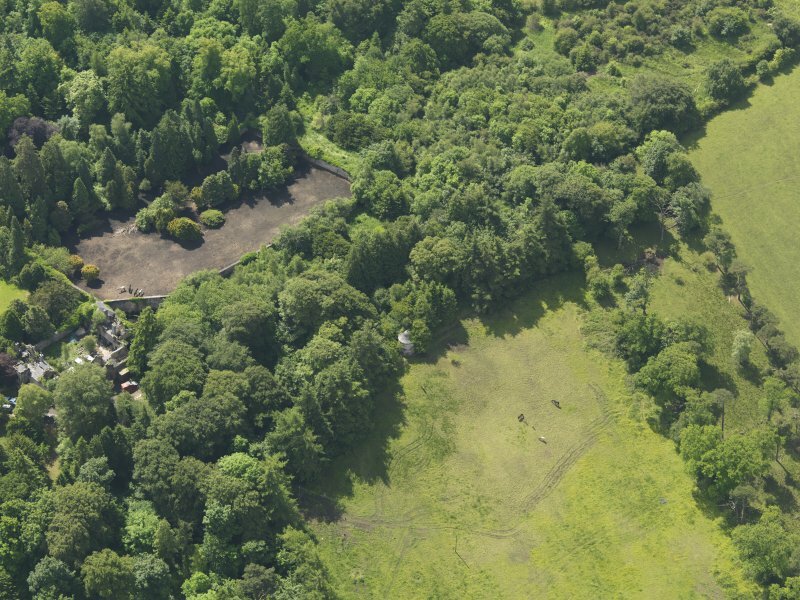 Oblique aerial view of Treesbank House dovecot, taken from the N.
NS 4196 3452. Unusual brick build design, in fair condition. Octagonal lower half and circular above; slated roof. Date '1771' set in brick. 'A' listing confirmed.